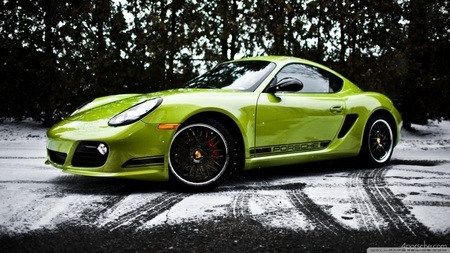 FREE WINTER CHECK - Is your Porsche ready for the winter? Book your car in for our free 111 point Winter Check. Here at Revolution Porsche we are passionate about our work. Our technicians are fully qualified and have a vast amount of experience working solely on Porsche cars. We are also looking forward to the winter! Contrary to popular belief, nearly all models of Porsche are suitable for winter driving as long as you take some precautions beforehand. We have listed the top five tips that will make sure your car will look the part all winter long. Make sure your Porsche is ready for winter with our free 111 point check. The check will cover everything from making sure everything works under the bonnet to a full road test. We will provide you with a full report on what we find with no obligation to follow through. A good, thorough waxing and sealant before winter sets in is a must. The added layer of protection will make it easy to rinse away any dirt and salt away that might accumulate if you are driving on gritted roads. Changes in air temperature can reduce the tyre pressure dramatically. Make a point to check the tyre pressure every month (if not more often). Give us a call if you are unsure about the tyre pressures for your Porsche. Just in case something does go wrong this winter, make sure you are covered by a plan that will cover general ‘wear and tear’. It even covers your annual servicing and MOT costs! Antifreeze – check coolant level regularly and, if needed, top-up with antifreeze. Here at Revolution Porsche we will check concentration levels to ensure adequate cold temperature protection. Battery – a flat battery is the most common cause of winter breakdowns. A battery more than five years old may struggle in the cold – pop in and get it checked and replaced if necessary to avoid the inconvenience of an unplanned failure. Fuel – keep at least a quarter of a tank in case of unexpected delay. Being stuck on the side of the motorway on a Friday evening isn’t fun. Windscreen – reduce dazzle from the low sun by keeping the screen clean inside and out. Now is a good time to renew those worn wiper blades.